The SEO industry is growing at an alarming rate and an ever increasing number of service providers are entering the field each day. This isn’t good news since quality concerns are raising thus causing search engines like Google to begin rolling out updates meant to review the content on webs sites and blacklist those of low quality. For link building services the Penguin 1 update was a nightmare since it De-indexed a large number of low quality web pages over night. 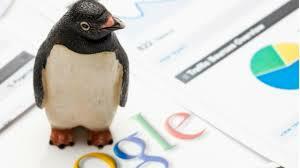 Many service providers are yet t o recover from the updates lash yet Google has released the penguin 2 update which is said to pose more problems with SEO service providers. For the blogger who earns a living by building links towards highly ranked pages, it’s time to reconsider your approach to avoid working for nothing. Many companies offering the link building contracts are also asking for the penguin guidelines to be followed to ensure the links they buy remain visible and indexed by Google for as long as possible. This means you simply can’t copy or upload low quality content today since the Penguin update which surely de-index the page on the next role out. The content must be of high quality and deliver meaningful information to the reader thus making it useful. In the SEO world the Penguin updates may be observed as a nightmare but observing the updates from a quality point of view shows their importance towards regulating high quality content. The updates help regulate the content published online thus ensuring the reader gets high value and unique information which helps with enhancing their understanding on different subjects, which is what most readers are looking for on the internet today. For various SEO services, Please visit us at http://www.wetecho.com/.